Taking legal action is a clear indication of you frustration and infuriation resulting from the actions of the accused. Having lodged legal action it best you cut short your interaction with the accused. As a plaintiff, the best way to get justice is to the court determines and adjudicates on your grievances. Interaction with the accused may lead to confrontation that may be used against you in court. 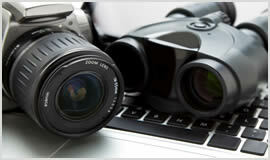 Bristol's Private Investigators provides process serving services within and around Bristol. Therefore, you do not need to be in any confrontational situation. Our services will ensure court summons documents and other documents are delivered to the accused in a timely manner.